We will coordinate the activities of all your financial, tax, insurance and legal professionals on your behalf so that they work in concert, ensuring you get the best advice from each. You may have more accounts with more institutions than is necessary to achieve your goals. We will consolidate your financial affairs, reducing the complexity, so you can easily understand it all. We will address any gaps in your planning and take care of whatever important tasks need to get done so that your financial house is in perfect order. We will create a clear, actionable plan that will simplify your life, so you can focus on more important things than managing your money. We will hold your experts accountable to give you the best advice for your financial situation, and we will hold you accountable to do your part by implementing their recommendations. 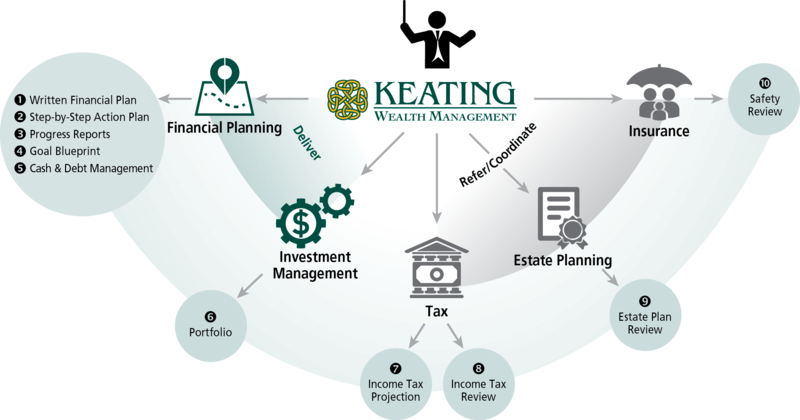 Tim Keating is the President and oversees all investment counseling. Tabitha Aspling is the Operations Director and responsible for client service. Stephanie Keating is the Marketing Director. On March 8, 2019, the bull market turned 10 years old, with the S&P 500 climbing more than 305% since hitting its financial crisis low on March 9, 2009. The index’s total return was 400.1%, or an astonishing 17.5% per year. 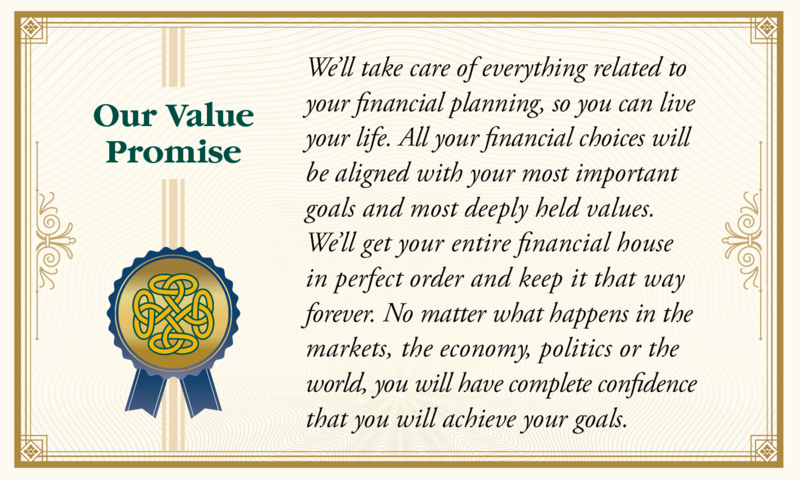 In the realm of real-world, lifetime investment success, defined properly as the achievement of one’s financial goals, there are three—and only three—determinants that truly matter: financial planning, asset allocation and behavior. Behavior dwarfs the other two by orders of magnitude.